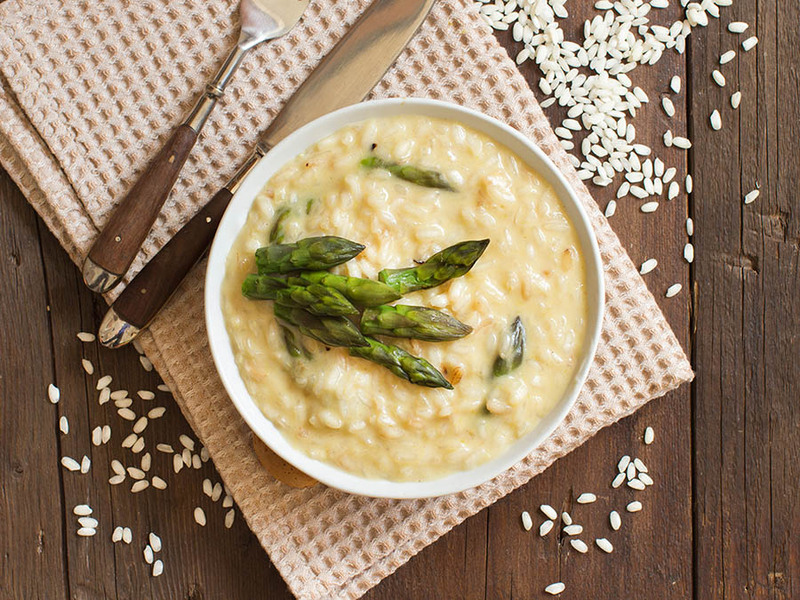 320 gr of rice - Arborio or Carnaroli - The type of rice used to make risotto is important. So, first of all you have to prepare asparagus. 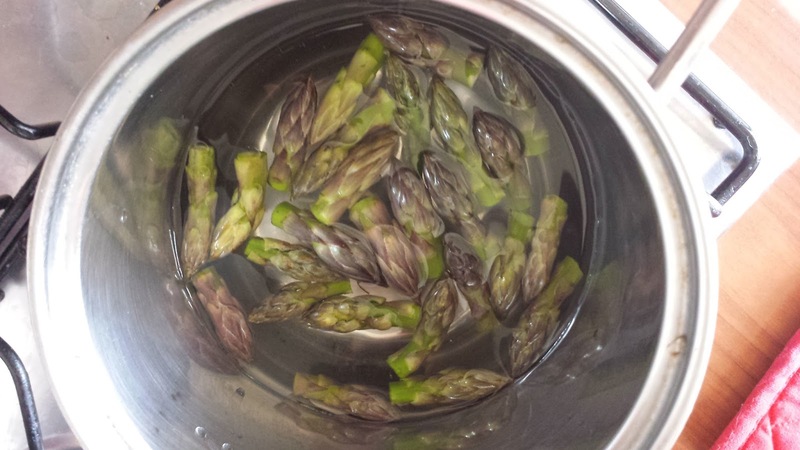 I will explain you if you are new to asparagus. Line the asparagus up so the ends are even. Use a sharp knife to cut off the bottom inch. If you have thin and tender asparagus, you need to peel only the bottom part about 5-7 cm. 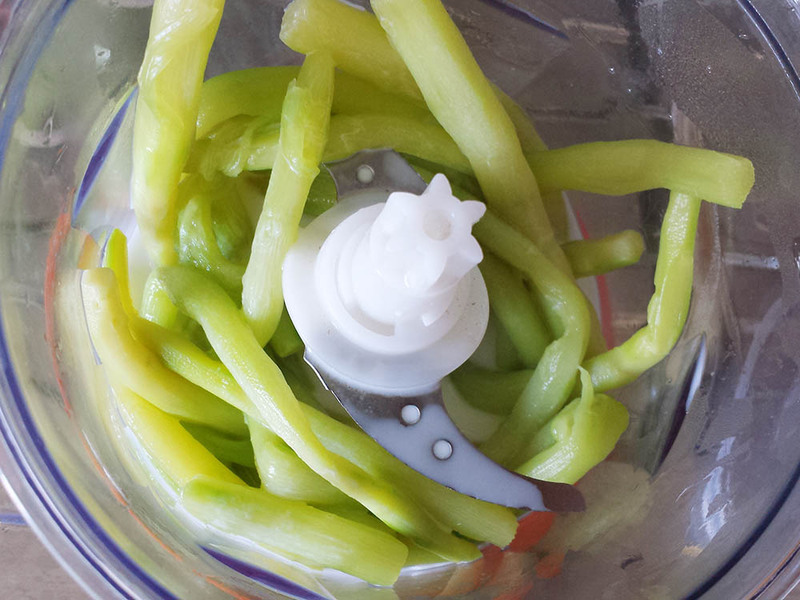 Use a vegetable peeler or sharp paring knife to peel off the skin of each asparagus spear. 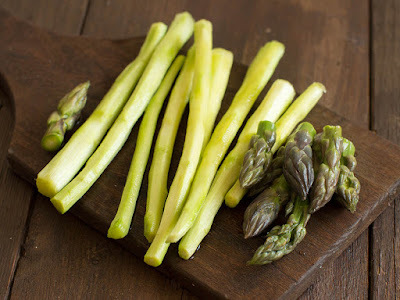 If, like me, you have thick-skinned asparagus cut off only tender ends, about 5-7 cm. The rest should be peeled. Cut it into slices. Boil asparagus in a large saucepan with 5 cups of salted water until just tender, about 10 minutes. 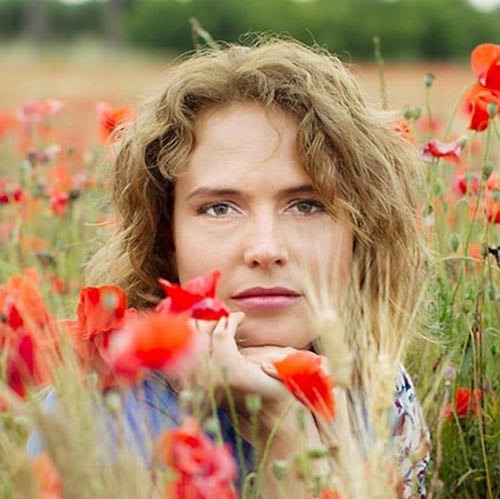 If you do not have a vegetable stock, it can be prepared quickly)) When the asparagus is cooked, simply put it in the same water some vegetables, which you have at home - I put the carrot, onion, celery and a couple of cherry tomatoes. 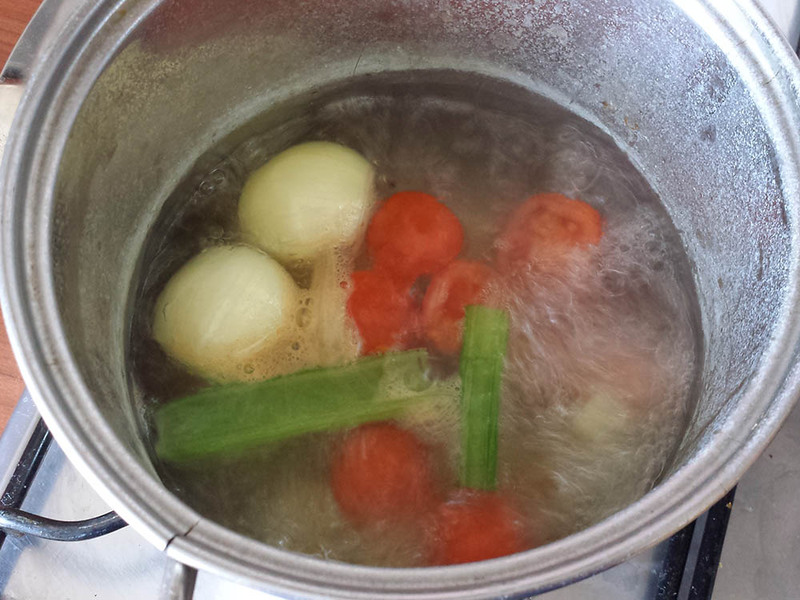 The stock will be ready just when you need to add it to the rice. 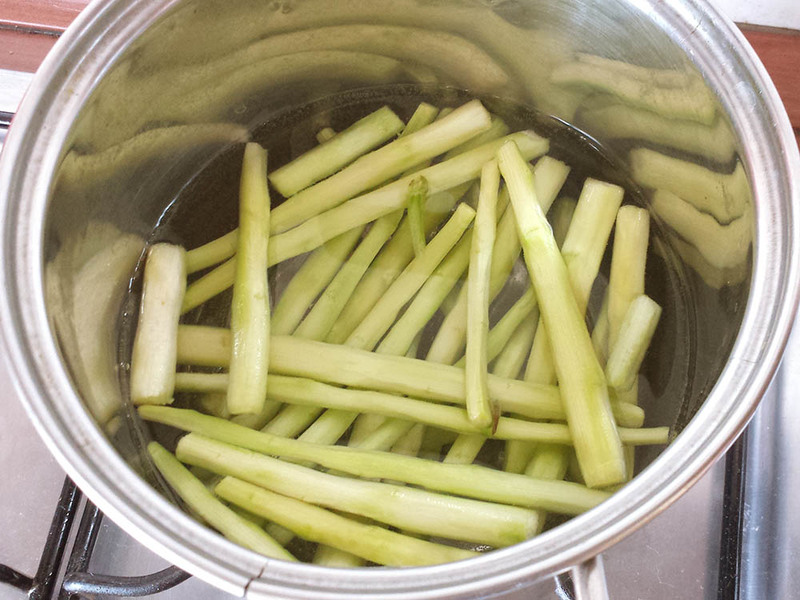 If you don’t have possibility to prepare the stock, then you can just use the water where you cooked asparagus. 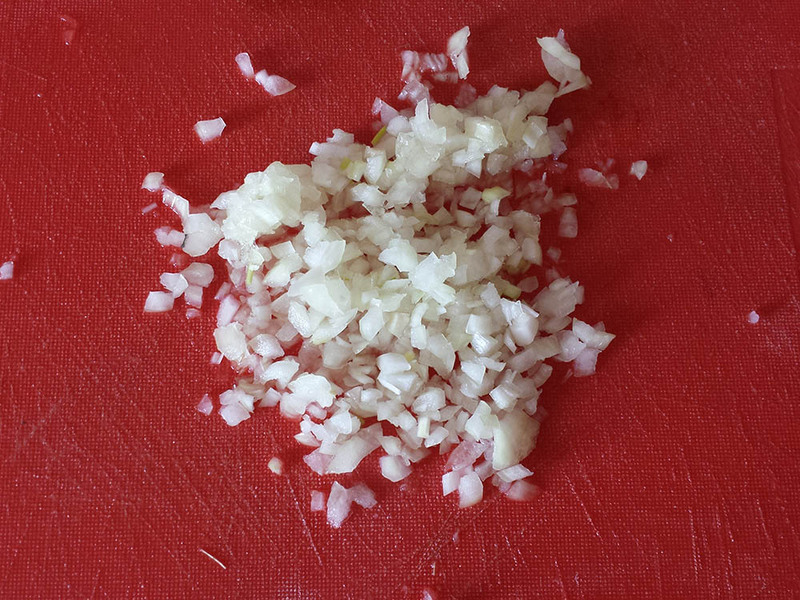 When it is ready, chop the onion finely. Melt butter (leave a piece of butter, we will need it in the end) in heavy large saucepan over medium-high heat and add some olive oil too. 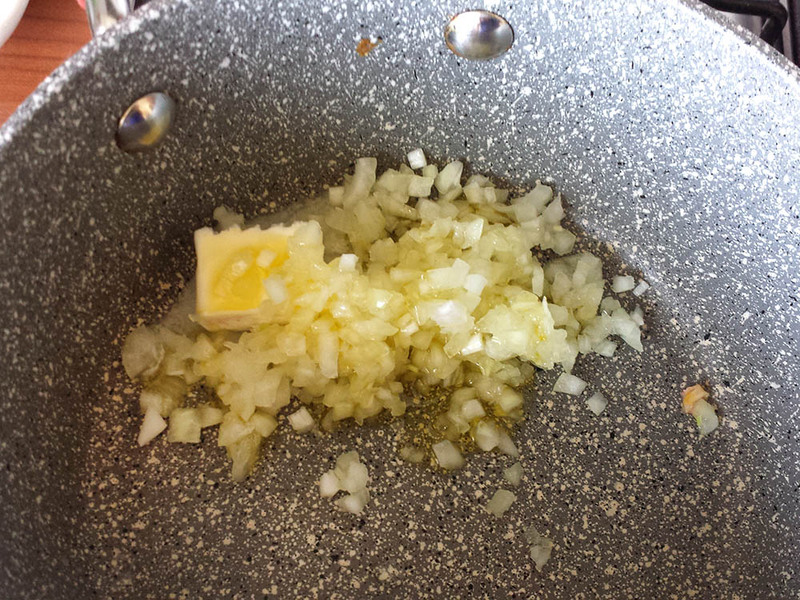 Add onion and saute until tender, about 3 minutes. Add rice and stir until golden, about 3 minutes (toasting the rice helps prevent it from becoming soggy). 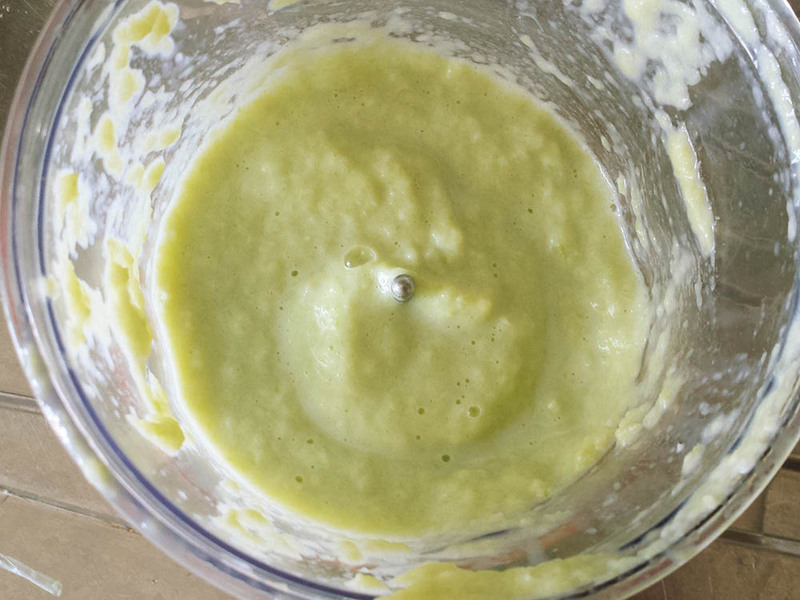 Add wine and stir until absorbed, about 2 minutes. Do not forget to constantly stir the rice - this is the secret of good risotto. Now, I think, your stock is ready, but even if the vegetable is not cooked yet, you can already use the stock. Add stock one or two ladles at a time, simmering until liquid is absorbed before each addition and stirring frequently. 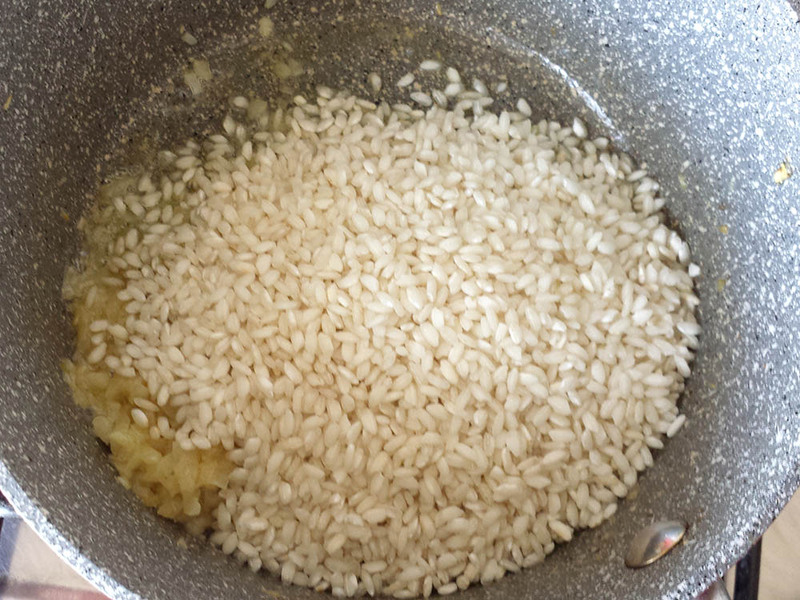 The rice will take approximately 15 to 20 minutes to cook. 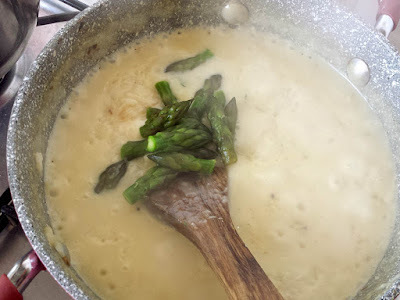 About 10 minutes into the cooking add asparagus cream and continue cooking over low heat. Do not forget to stir and add the stock continuously. 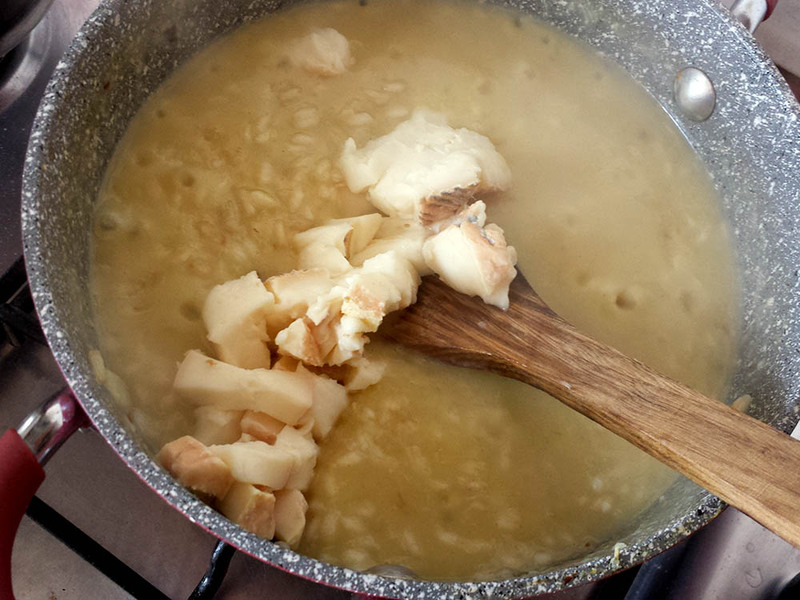 When the rice is almost ready, put the chopped pieces of taleggio cheese, a piece of butter and grated parmigiano. By the way, I do not salt risotto separately, because the stock is already salted, and cheese will make it taste more salty as well so it’s better to adjust salt in the plate if necessary. Another tip - Don’t over-cook it! Like pasta, rice should be slightly “al dente”. Tasting is the only way to really know! By the way, on the photo risotto is not green because I cleaned asparagus legs. 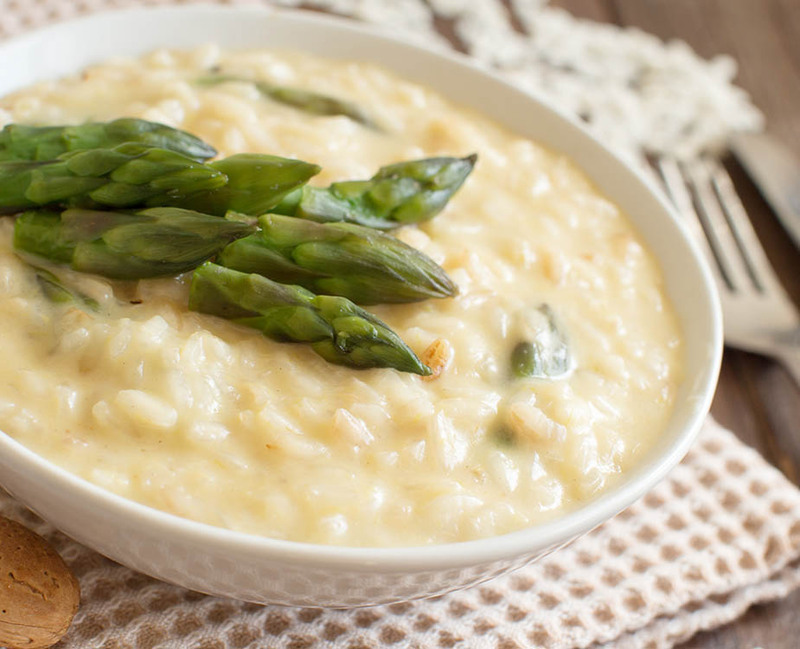 If you have thin and tender asparagus, the your risotto will have light green color.